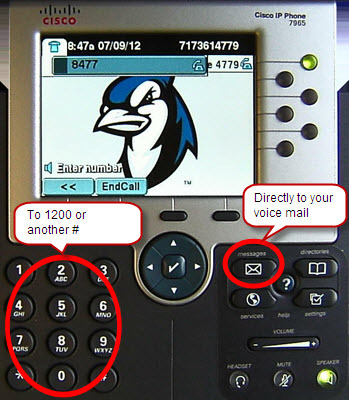 Call forwarding allows a user to forward all incoming calls to an alternate number or extension. 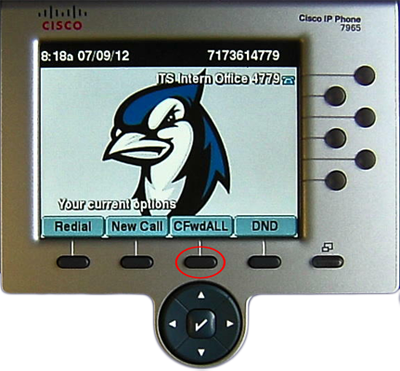 Additionally, call forward can be used to automatically redirect all calls to voicemail. 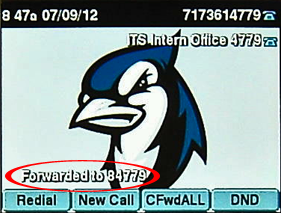 To temporarily disable call notification without forwarding calls see Do Not Disturb. Step 2: Using the keypad, enter the number you wish to forward to. If it is an external number, press "91" before entering the number. 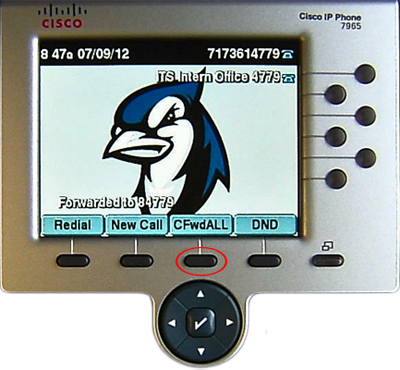 A text message in the lower left-hand corner will indicate active call forwarding.